Originally published on Jan 10, 2013, in the video author and publisher James Wasserman shares his experience in the development of the modern Thelemic movement, some observations on the contemporary scene, and his continued enthusiasm for the spiritual teachings of Aleister Crowley. Wasserman, you may recall, was a guest on Masonic Central in 2009 discussing his work The Mystery Traditions and other more esoteric topics. 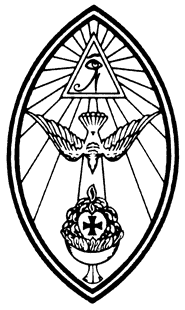 This video was recorded at Swirling Star Lodge of Ordo Templi Orientis in Pompano Beach, Florida. It includes numerous photos of influential figures in the development of Thelema as well as the early years of TAHUTI Lodge in New York City. The video offers some interesting insights into the one time Masonic organization Ordo Templi Orientis, better known as the OTO.